Our team of experienced healthcare recruiters play in this space all day. Check back often for their insights on the industry, hiring, & what’s to come. 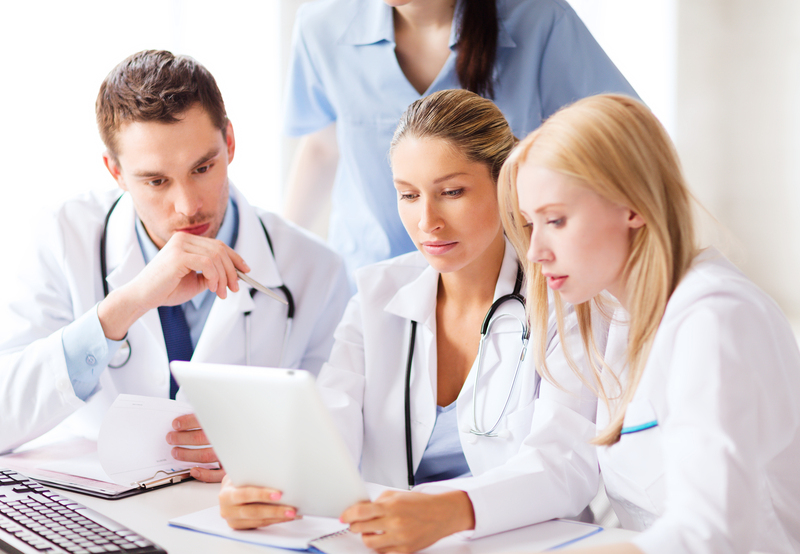 Health Information Technology is constantly changing and is a great career field to be in. Not long ago, all records were captured on paper and charts could only be shared by fax or courier. They’re not always legible and accessing healthcare information was difficult and often very tedious. With 5G now available and the demand for receiving accurate information in seconds improves the care and safety of patients. It has proven that the benefits are substantial. With recent technological changes in the healthcare industry, time for getting accurate patient records has drastically decreased. Consequently, over 82 percent of healthcare professionals reported that electronic prescriptions save time and reduce efforts. Furthermore, healthcare professionals can now efficiently diagnose patients. Better technologies allow doctors to take preventive measures before medical issues become more serious. Or in some cases, lethal. For example, 5G will allow doctors to send MRIs and other images, which are very large image files, almost instantly. Specialists will be able to examine and diagnose patients quickly, allowing them to serve even more patients. The more patients that can be seen in a single day, the more patient lives we can save. With better, faster technologies available, patients and healthcare professionals now have even more control of their well-being. Reviewing information, requesting additional information on their diagnosis, making appointments, and even contacting their doctor are now much easier and quicker to accomplish. Additionally, technological advancements even help reduce medical costs. According to a study from the University of Michigan, shifting from paper to electronic health records has reduced the cost of outpatient care by 3 percent. Technology is drastically changing the healthcare industry. As a result, healthcare employment is being forced to adapt to newer technologies and medical advancements. 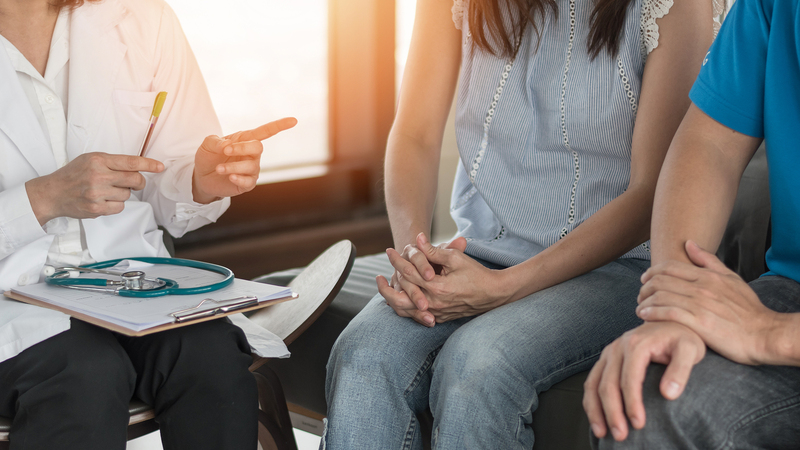 Hospitals and other healthcare organizations are finding themselves having to hire new employees to accommodate these changes. Technology advancements continually help save patient lives and improve the quality of life of each and every patient. So, if your organization needs help finding the talent you need to keep up with these demanding IT trends, let’s have a conversation. Because my team and I specialize in placing talented professionals in healthcare organizations every single day. The spiraling costs of healthcare have created the need for shared resources and regionalized services. It only makes sense. After all, why outfit two labs and clinics, stretch the time of doctors and healthcare professionals between multiple locations? When one, centrally located clinic or medical office should be enough? And why not share the expenses of the supporting staff needed? The rural communities can just seek medical assistance in urban centers that are often within a half hour drive. Sounds simple when analyzing the cost-saving potential. But what about the human cost? Does this ever factor into the equation? According to Becker’s hospital news, finance woes were the primary cause of the closure of 64 rural hospitals in the four years between 2013 and 2017. And during the previous U.S. rocky financial period in the mid-to-late ’80s, 140 rural hospitals closed. Recently, the small community of Fairfield in Eastern Washington is one of the latest rural communities to fall prey to the need for regionalized cost savings in healthcare services. Rural communities already face a large challenge by not having a local doctor and relying on local EMTs only for medical emergencies. Survivability of these emergencies are often measured in seconds, not minutes, and certainly not hours. The quicker access to medical treatment, the better survivability and quality of life after a catastrophic event. There is a saying revolving around the treatment of heart attacks that goes, “time is muscle.” The longer the time for treatment, the more damage to the heart muscle. The CDC also reports that unintentional injury deaths are 50% higher in rural communities than urban communities. And delays in service are a common reason. Rural communities with limited access to healthcare can also create delays in diagnosis of diseases like cancer and diabetes; delay routine checkups that identify signs of stroke or other life-threatening factors; and rural communities are home to many elderly residents. Whom are part of the 12% of the 65 and over age population who consume over 34% of all prescribed medication. This also requires monitoring and care from a licensed medical professional. So why not just move? The flip side of the equation is the quality of life and community that is offered in rural communities. Reduced cost of living, less stress, less noise and pollution, and quality of time with family are all well-documented benefits to rural life. Additionally, the sense of community and active preservation of American values coupled with a continued celebration of life, tradition, and family is the backbone of the rural landscape. 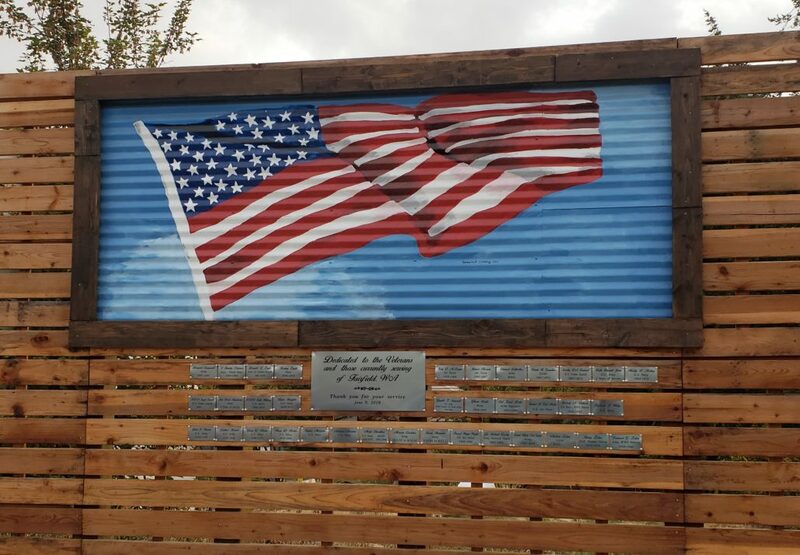 This beautiful community of Fairfield is one such example of the celebration of life with the installation of their Wall of Honor, dedicated to those who have served our country. They continue to honor tradition, family, and community values. But who will continue to serve our rural communities? What can we do to take the human equation of lack of transportation to a doctors appointment into consideration? What cost do we allocate to a life lost due to inaccessibility of healthcare? And what about the local businesses that support the services of the visiting doctors? What can be done when the population demographic is not the model to welcome telemedicine and needs licensed medical professionals to tend to the residents in person? It is an open-ended question that may not have an ideal solution. But for Fairfield, WA, sharing the belief in rural community and having a passion for rural health is everything to them. And if you’re looking to possibly open a practice, you know for sure there is a source of revenue ready for you to grab onto. Moving to this rural community that rewards and celebrates loyalty may be the perfect opportunity for you! https://johnsonsearchgroup.com/wp-content/uploads/2018/11/Military-Wall-Photo-1.jpg 2666 3842 Tracey Smith https://johnsonsearchgroup.com/wp-content/uploads/2015/10/johnson-search-logo.png Tracey Smith2018-11-27 15:25:072018-12-03 13:09:26What Can We Do to Save Rural Health? Thanksgiving is one of my favorite times of the year. Sometimes it’s easier to focus more on the negatives in life. But this time of year, we get the opportunity to reflect on all the good that happens in our lives. In my personal reflection, there has been quite a bit to be thankful for in this past year. I’ve had the privilege of not only working with, but learning from, a wide variety of wonderful people from our clients, candidates, and my amazing colleagues. Of course, there is SO much more to be thankful for outside of my own personal journey; one of which is a job market that’s on fire! We have been lucky enough to enjoy a booming economy and the labor market with the unemployment rate remaining at 3.7 percent in October AND the number of job openings at over 7 million. Right now, in this candidate-driven market, there is more than one job opening for every unemployed person. If that isn’t something to be wildly excited about, I don’t know what is. Over the past 12 months, there were 323,000 jobs added in the healthcare industry alone! Not only that, but The Conference Board also reported the highest level of job satisfaction at 51% based on their latest survey, which is the highest level reported since 2005. Of course, with such a booming job market, there are a lot of difficulties for employers in finding the qualified candidates they need. Luckily, this isn’t something you need to do alone. That’s what we at Johnson Search Group are here for! We have a great network of talented and experienced candidates and we love to help our fabulous clients out by matching them with the right people for the job. This holiday season, I encourage employers who may be struggling to find qualified candidates not to try and do everything on their own. Spend time with your family and loved ones this holiday season and let us take some of the stress off your shoulders. After all, that is not only why we are here but it is also what we love to do. Why Rural Healthcare? Why not! We tend to get caught up in the hustle and bustle of trying to juggle a successful career and raising a family. With so much going on in our lives, we often forget to “stop and smell the roses,” so to speak. By working in rural healthcare, you have a better chance of finding that work-life balance and still have a very successful and rewarding career. Having the possibility of stretching the boundaries by forging innovative programs and services, making rural life healthier and more compassionate. Isn’t that one of the reasons why you embarked on a career in healthcare? To have the opportunity to help people? Better quality of life, no sitting in traffic for an hour. Living in a rural community often costs less, a chance to afford a larger home and be a part of a community. And who doesn’t love farm-fresh produce!? Many of my clients that I work with in rural healthcare enjoy who they work with. The organizations they work for feel more like a large extended family rather than a group of co-workers. With the CEO walking the halls and having lunch in the cafeteria, rural health is much more welcoming. Having the ability to be a part of the community and seeing the difference that you can make is extremely rewarding. There is a shortage in rural healthcare and now is the time to consider that option! Rural health is a great way to grow your career. You often see cases you might not normally come across in medical school or residency. You could see a broader scope of chief complaints, and that’s experience you just can’t buy. I am working with some great Critical Access Hospitals that are looking for talented healthcare professionals just like you! Your patients will appreciate you and trust you. The need is real, and the reward is enormous! Working in rural health will very possibly reshape how you think the way you deliver care throughout the rest of your career! If you’re ready to start your career in rural healthcare, reach out to me. My team and I are ready to help you find the next chapter in your career. https://johnsonsearchgroup.com/wp-content/uploads/2018/10/bigstock-Patient-Couple-Having-Doctor-O-239678161.jpg 900 1600 Michelle Smith https://johnsonsearchgroup.com/wp-content/uploads/2015/10/johnson-search-logo.png Michelle Smith2018-10-15 08:02:022018-10-15 08:02:02Why Rural Healthcare? Why not! It’s officially the 4th Quarter of the year. The labor market is as strong as it has been in almost two decades. With current projections of 3.1 percent growth for the U.S. economy for 2019, it doesn’t look like the job market will be slowing down anytime soon. We sat down with Johnson Search Group’s divisional managers to hear their thoughts on our candidate-driven market and the challenges their teams face moving into 4th Quarter and even 2019. 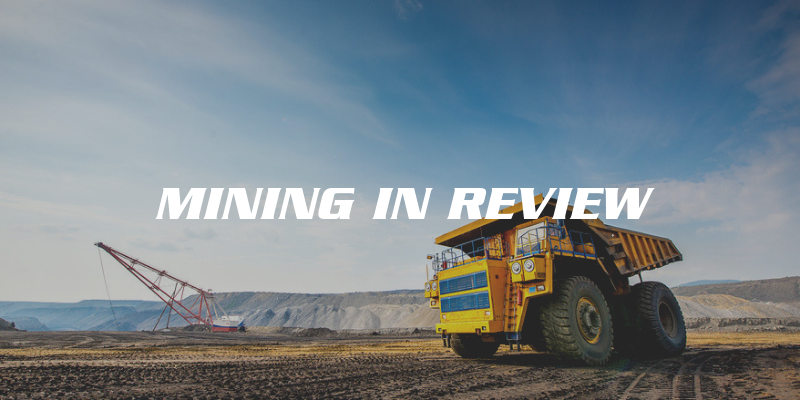 What trends do you see in the Mining industry as we approach 4th Quarter and 2019? The mining industry is on fire. The Permian Basin is expanding faster than talent can be brought in and mining companies across the U.S. are growing. Frac sand companies are opening multiple new plants across the country. Even the gas and oil companies are getting into the frac sand business. Since October 2016, the Mining industry has added a total of 104,000 jobs; 6,000 jobs were added in the month of August alone. It’s a good time to be in mining, and I see this growth trend continuing into and throughout 2019! What challenges is your team facing in this tight job market and how are you addressing them to help your clients find qualified candidates? Candidates are in the driver’s seat, without a doubt. With 6.7 million job openings and only 6.3 million people to fill them, the disparity is glaring. 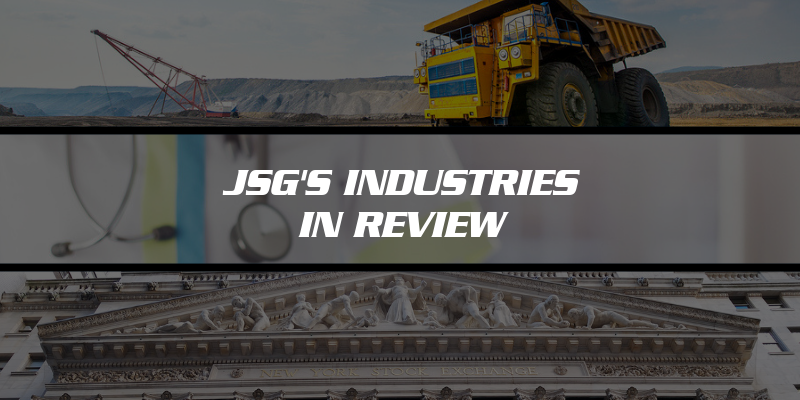 The mining team at JSG has noticed that candidates are becoming more selective with the opportunities they will consider. They are sticking to their guns on salary requirements and many are choosing to not relocate. This is where our partnership with our clients and our understanding of who they are and their vision for the future, comes into play. We take the time to educate the candidates on the companies; My team shares the company’s vision and helps them visualize how their career could grow. We are truly matchmakers, and our goal is to make both our client’s and candidate’s happy with their mutual decisions. 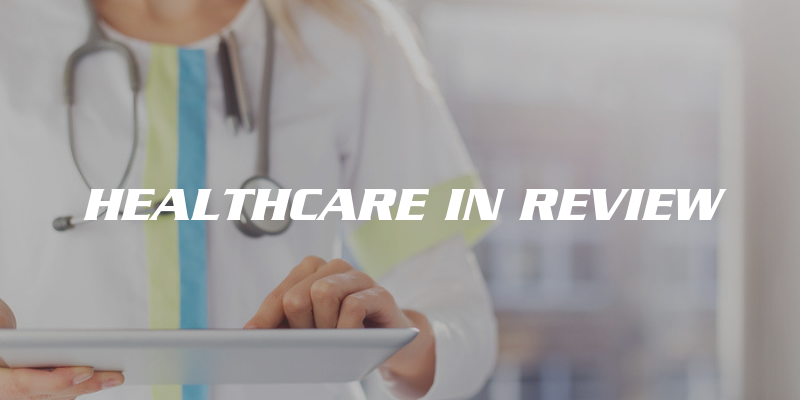 What trends do you see in the Healthcare industry as we approach 4th Quarter and 2019? 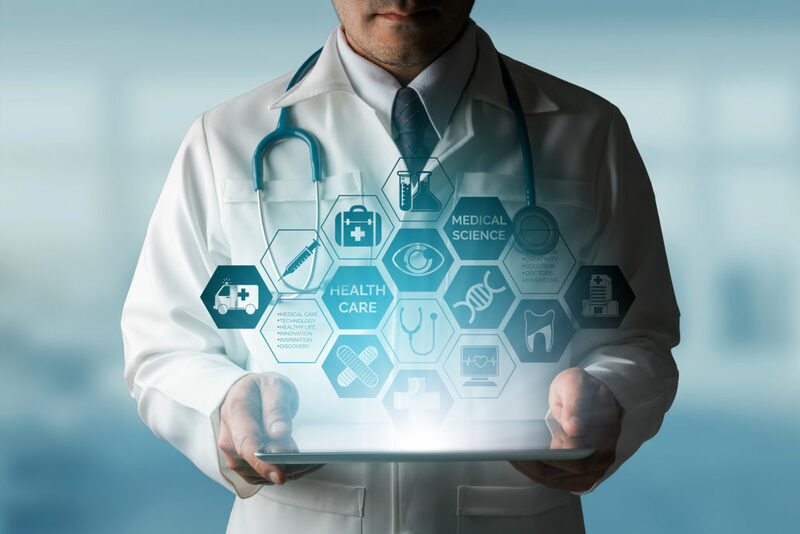 Technology is being integrated more often to meet many of the challenges faced with additional patient load and regulations; that includes addressing organizational planning, patient outcomes, and protection of health information. Technology has become a huge part of healthcare and I see it continuing to be this way. Although, this can be both good and bad and it may create unforeseen challenges when there aren’t enough people to address the need. And this is especially true when we are so reliant on technology to fill this need. 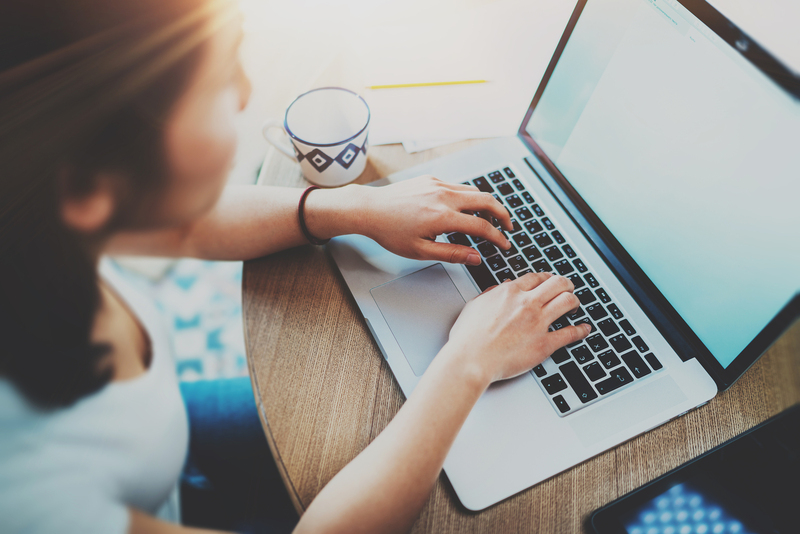 One example we addressed in a recent blog discusses the human difference compared to the technology of applicant tracking systems. This illustrates how technology differs from the human touch, but it’s certainly needed because of how rapidly the Healthcare industry is growing! With Healthcare becoming the number one employer in the U.S., hiring managers are becoming busier than ever. Finding time for interviews is a huge challenge for many hiring managers. Which is why now is the best time to be working for a recruiting firm whose process is concise like ours. This includes us doing all the initial interviews, so we can get to the very best talent. This helps to not waste hiring managers’ valuable time, that could end up taking away from patient care. 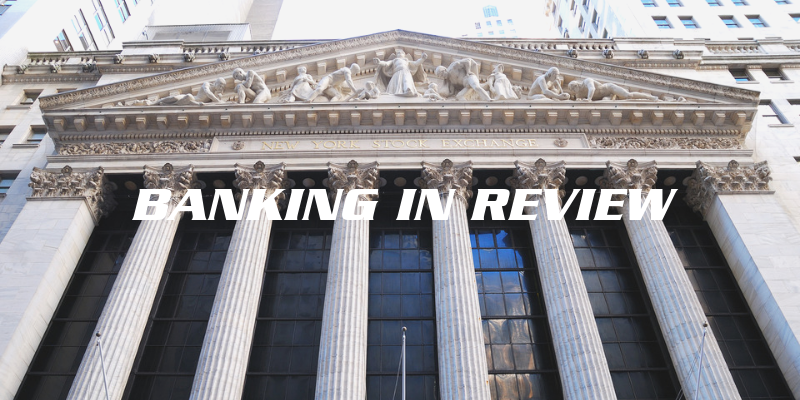 What trends do you see in the Banking industry as we approach 4th Quarter and 2019? All things are looking very busy. The fed rate will rise again, but the economy appears so good, it will most likely only create a small hiccup in the future. With that being said, banks and financial institutions are busier than ever. We will also see more mergers and acquisitions activity as institutions are looking for strategic growth. We are seeing candidates who are ready to make a move today. When a candidate is ready to find a new career opportunity, they are getting in contact with three, four, or even five institutions that are all wanting to hire them. Some banks are not making hiring a priority which is causing them to lose great talent. When they take weeks to ask great candidates for an interview they are leaving the door open for another institution to move in on the candidate. This creates a problem for banks who need to fill their critical roles quickly because they lose out on great candidates to the competition. It’s essential that financial institutions are moving quickly in this tight job market. 4th Quarter is among us, and many organizations are looking to add talented candidates to their teams. If you are struggling to fill open positions in this tight market, you’re not alone. Reach out to us and let’s have a conversation. We can help you find the talent your organization needs as we quickly approach the new year. There are many misconceptions today of working with young professionals. Many believe that those in the millennial generation are to be avoided at all costs, primarily in the workforce. Our generation has been skewed as nothing but lazy, impatient, rude, narcissistic, and entitled people. Why work with a Millennial? So why would anyone in their right minds want to work with those people? Well, there is no getting around the fact that a large portion of millennials do struggle with those traits. However, no matter what generation you look at, there are both the negative characteristics as well as positive. So why don’t we look at the positive? One of the best assets my generation has mastered is coming up with fresh and creative solutions to complex problems and never giving up on the search for knowledge to continuously grow ourselves. Innovation is our identifier and when matched with drive, there is no one better to get a job done. So, with all of that said, why would you choose me to fill your critical roles as the youngest recruiter at Johnson Search Group? Well, I’m glad you asked. What makes me the best option for your recruitment needs? My innate drive and tenacity to be the best at whatever I do. You can be confident that I will not only get the job done, but I will get it done efficiently. And I will show you the candidates that you WANT to see, not just the ones that fit the job description. Don’t just take my word for it either. Put me to the test and allow me to exceed your expectations. The fact of the matter is we are in one of the largest candidate-driven market’s we have seen in decades. The Healthcare industry has added a total of 301,000 jobs this year and 33,000 of them were added in August alone. This is great news for candidates as they can be both competitive and selective about the offers they take. But it can also make it harder for employers to find their ideal candidates as their top choice may be whisked off by another offer. Especially, if they don’t move quickly enough. Luckily for our clients, all of us at JSG work exclusively with candidates who are passively looking, as those are the candidates that are almost always the best fit for the job. Reach out to me if your healthcare organization needs help securing (and retaining) talent in this challenging market. Due to recent changes in administration, there are bound to be some changes in the healthcare industry that could affect the job landscape. Some negative, some positive, and some neutral, all we know is that change is afoot and the results remain to be seen. The largest and most prominent catalyst for change is the replacement of the seven-year-old health care law, the “Affordable Care Act” or ACA. The new legislation that is being proposed to replace the ACA is officially called the “American Health Care Act” or AHCA. One change that will most likely influence healthcare jobs if the AHCA became law is the elimination of the personal mandate. Previously, the Affordable Care Act made it necessary to have health insurance. Under the proposed American Health Care Act this mandate will disappear, making health insurance optional. This means, obviously, that the amount of people who lack insurance will increase, leading to a lack of demand for healthcare professionals. With a forecasted estimate of 24 million people being uninsured within the next few years, it is almost inevitable that jobs within the industry may decrease. The AHCA is also calling for a change in the way that pre-existing coverage is determined. Under the proposed legislation, states (instead of the Federal Government) will be deciding what qualifies as a pre-existing condition. This could lead to a few different things. The most important being a possibility of changing the allocation of resources. Because states would be determining what qualifies as a pre-existing condition, jobs may be cut in certain areas, and created in others. This could lead to a huge relocation for some healthcare professionals, which may benefit some people, but not all. Lastly, one change that will make a positive impact on the healthcare job market is the new state pool that will be provided by states who opt for it. The Patient and State Stability fund does just that – provides stability. It provides stability for insurers with expensive patients. This also allows patients who do not have coverage to fall back on this high-risk pool so that they can be treated. What does this mean for healthcare jobs? It means that certain parts of the industry, such as ERs across the nation, will be receiving more patients who rely on this high-risk pool. This will see a steady increase in demand for workers in these places, which will turn into more jobs in the industry. There is no saying whether these changes I have mentioned will actually happen. As of right now, the American Health Care Act is just a piece of legislation that is on its way to the Senate to get edited, revised, and (maybe) passed. Until then, these are just speculations of what could likely happen to the healthcare industry job market. One thing is for certain though. As the New York Times put it, “While the government reported Friday that unemployment was at its lowest point on more than a decade, the health care industry has been an engine for much of that hiring, adding jobs at more than three times the rate of the rest of the economy since 2007.” The healthcare industry continues to thrive in America, and as long as patients need care, they will continue to thrive for years to come. What Does MACRA Mean For The Future Of Healthcare? By now you’ve probably heard of the Medicare Access and CHIP Reauthorization Act (MACRA). With its long-anticipated final ruling in October, it has been getting attention lately. Perhaps you’ve been grouping MACRA with the rest of the overlooked acronyms of the healthcare industry. Unfortunately, this is one acronym you can’t ignore. Per the Centers for Medicare and Medicaid Services (CMS) you could lose 4 to 9 percent of your Medicare revenue between 2019 and 2022. So, what does MACRA mean for the future of healthcare? As a Healthcare administrator, here are some key things one should know about the MACRA ruling. It repeals the Medicare Sustainable Growth Rate (SGR) methodology for updates to the Physician Fee Schedule (PFS). 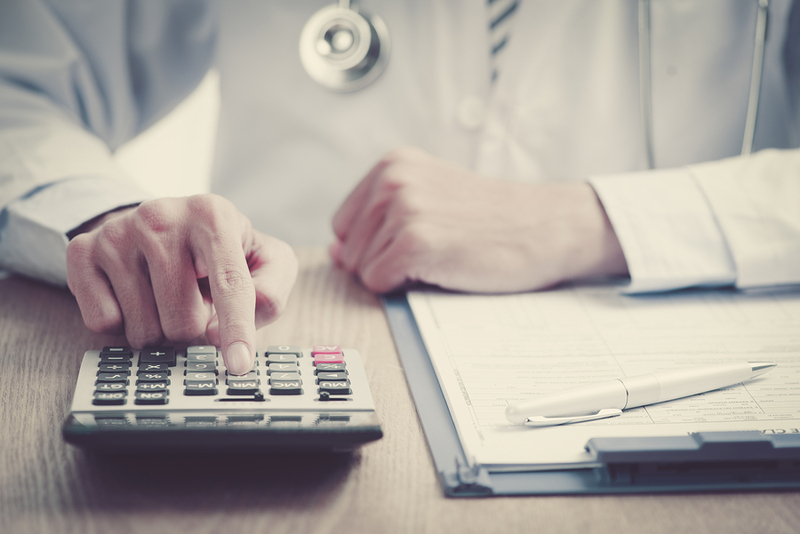 MACRA creates two new Medicare payment models for physicians with its new approach called the Quality Payment Program (QPP) that is designed to move healthcare for Medicare patients from volume to value. The two programs are the Merit-Based Incentive Payment System, or MIPS, and the Advanced Alternative Payment Model (APM). MIPS is designed for providers in traditional, fee-for-service Medicare. Advanced APM is designed for providers who are participating in specific value-based care models. Explaining how these models work can be an article in its own, so I will not visit that just yet. Regardless of the model they choose, physicians will need to report and improve quality and reduce costs. MACRA has strategic and economic impacts for physicians, hospitals and health systems, ultimately accelerating the transition to value-based care will affect everyone. In the short term, its impact will be most prominent on physicians who participate in Medicare and as practices adapt to the new quality-based payment models, the impact will expand. Because MACRA was passed with wide bi-partisan support, it is very likely to be with us for the foreseeable future regardless of a change in administration. When does MACRA go into effect? The new rules have already gone into effect as of January 1, 2017. Although the QPP has begun, there is still a period with less financial risk for the first two years of the program. The roadmap for the journey to providing patient-centered care is best summarized with this awesome timeline. In all honestly, even with all of the research that I have done, I am still bamboozled by MACRA. There is still so much to learn! I’m sure we can all agree the adoption of the MACRA regulations can be complex, burdensome, and time-consuming, but organizations need to be ready. Hopefully with my article, the foundation of the what, who, and when have been answered. 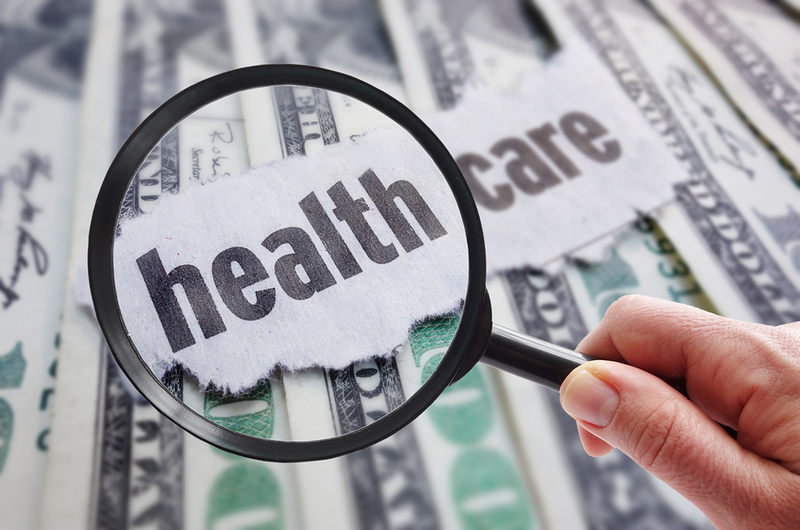 Lastly, since MACRA affects both the way care is delivered, and the way physicians are compensated for that care, its impact is likely to be more significant than the Affordable Care Act (ACA), which focused largely on access to insurance coverage. https://johnsonsearchgroup.com/wp-content/uploads/2017/01/bigstock-137690987.jpg 601 900 Tracey Smith https://johnsonsearchgroup.com/wp-content/uploads/2015/10/johnson-search-logo.png Tracey Smith2017-01-19 09:37:042017-01-19 10:31:11What Does MACRA Mean For The Future Of Healthcare? As an administrator in healthcare, what is your ideal outcome in staffing in your finance department? Is a primary objective to be able to hold the providers of your facility formally accountable for the cost and the quality of the products and services they deliver? Do you desire to be able to fully understand your costs and revenue streams? What matters most when seeking these outcomes in assembling your financial leadership team? 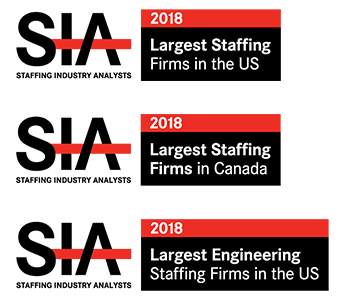 As a professional placing top healthcare finance talent across the country, there are four traits that continuously rise to the top of the ‘most desirable’ list that come from hiring managers and fellow collaborators. First and foremost, your controller needs a strong technical accounting background; after all, they will be managing the accounting function and an accounting team. A strong foundation in Generally Accepted Accounting Principles (GAAP) is a must. Most hiring managers are looking for accounting professionals who are still very much hands on with the day-to-day and they need to have a strong knowledge of excel and any related ERP systems. Companies often look to change or upgrade their financial system and the person they are looking for needs to be involved in the selection, testing and implementation process. Someone from outside the industry is not going to have the technical expertise needed to understand healthcare practices. Healthcare and non-profits have distinct accounting rules, and industry-specific backgrounds are often highly preferred by hiring managers in those industries. Being an expert allows the professional to continually look for better ways to manage their teams’ responsibilities – streamlining, identifying and building in efficiencies, helping things to run smoother, faster and more cost effectively. They need to have a desire to continue learning. The accounting function at any company is a team effort. Managing, mentoring and directing a team takes talent and experience. The group collaborates and works hard, especially during month-end and quarter-end, an accounting professional with strong leadership skills is essential to keeping the team engaged, on track and feeling valued. Ultimately, a successful professional is always looking to train his or her successor. Intangible traits are also crucial to consider when you are hiring an accounting professional. Does the accounting candidate present him/herself in a polished, poised and professional way? Accounting professionals need to be skilled in how they deal internally with the board and especially the CFO and externally with bankers, auditors and insurance companies. And, obviously, anytime you are dealing with financials, the employee needs to have high integrity and honesty. They should be professional with the ability to manage up and down and to work well with their peer group. During the interview, be sure to assess these vital skills. 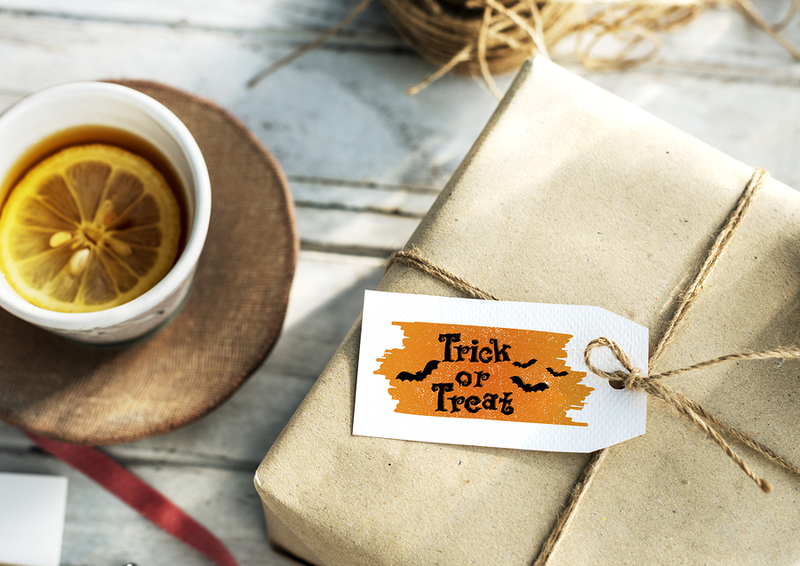 Is ICD-10 A Trick Or A Treat? For those lovers of all things Halloween related, failed vampire attacks would likely be covered by “S10.87XA: other superficial bite of other specified part of neck” in the new specificity requirements of ICD-10 implementation. The end of the flexibility of CMS for full implementation of ICD-10-CM is the latest challenge for healthcare organizations on the anniversary of adoption of the new coding guidelines in the United States. If you are not in the revenue cycle or medical records side of healthcare, you might ask, why the melt down for professionals in the industry? Why do adjectives associated with implementation include looming, disastrous, and burdensome with a fear of increased physician retirement if all does not go well? Simply put, take a healthcare system that is in a word fractured, and transition from approximately 13,000 codes to 68,000 codes and eliminate the grace period of full implementation. An interesting side note is a review of some of the truly ‘entertaining’ codes, for anyone wanting a departure from doom and gloom. To gain a more complete understanding of my notes of caution, not only have the number of codes increased dramatically, but the structure has also changed. ICD-9 codes were 3-5 characters in length and allowed the first digit to be alpha or numeric, and digits 2-5 were numeric. ICD-10 codes are 3-7 characters in length, and require the first digit to be alpha, digits 2 and 3 numeric, and digits 4-7 can be alpha or numeric. (Can I get a roll of the eyes here please?) In other words, start completely over and as of October 1, 2016, no more grace period from CMS to get it right. If it’s wrong, the result is a denied claim and therefore the delay in revenues received. Add to that, the additional 2017 update that brings the total count to 75,625 codes required to be used for accurate billing and receiving reimbursement. All eyes will be on 2017 revenue cycle outcomes. With other survey data reporting that 33 percent of those polled experienced a 20% decrease in revenue (more codes means more time to process), another increase in the number of codes and an elimination of CMS accepting codes that are “close enough,” the impact on an overburdened healthcare system may have been simply a delay in significant impact. One year ago, the ICD-10 implementation was by all reports a ‘non-event’ despite (for those of you who are old enough to remember) having the same doom and gloom Armageddon anticipation as Y2K, with the same result. The world as we know it did not spin off its axis. The reality however, is that the true picture is yet to unfold. The denial rate for the first phase with grace period did not increase over the prior year. It is only $12.9 billion dollars …. think about that number for a moment. I realize that in the grand scheme of things, it is only 1.9% of total claims submitted, but that is still a big chunk of change! It is truly indicative of the huge business that healthcare has become. 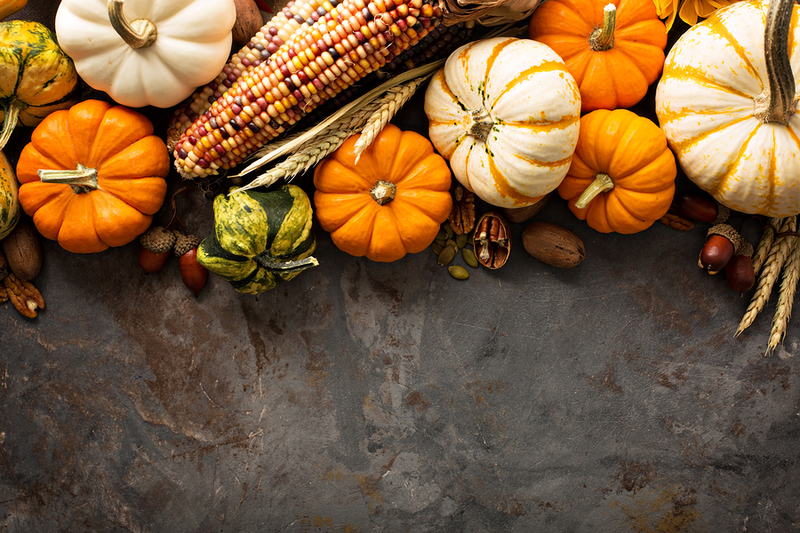 https://johnsonsearchgroup.com/wp-content/uploads/2016/10/bigstock-Halloween-Trick-Treat-Spooky-C-150625490.jpg 637 900 Tracey Smith https://johnsonsearchgroup.com/wp-content/uploads/2015/10/johnson-search-logo.png Tracey Smith2016-10-27 09:35:562016-10-27 09:35:56Is ICD-10 A Trick Or A Treat?